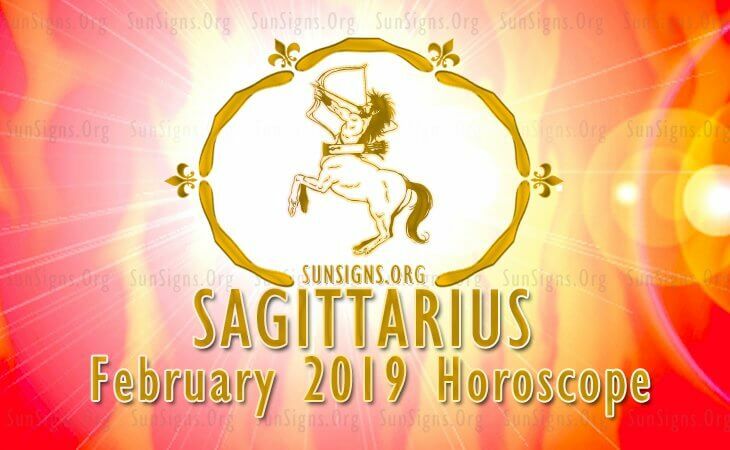 Sagittarius horoscope for February 2019 is foretelling that this year all things you decide to do are in your hands. Nothing anybody tells you will suffice as the real deal since you are only determined and convinced by what you say or do. This action will present itself as a detriment in some areas, but it is an advantage in other areas of your life. The Sagittarius star sign will have many opportunities at his or her disposal, and it is upon him or her to decide which ones are beneficial and which ones are not. You have natural talents that will help you reach your potential easily. Sagittarius personality is creative and curious hence his or her outgoing character. As per the 2019 horoscope for Sagittarius, it will be hard for you to find a balance in your social life in February 2019. You are so concerned with the decisions you make that you forget that friends and family are a part of all the decision making processes you undergo. The Sagittarius compatibility will be strained since you are stubborn and aggressive. You will have to be honest with your spouse on what things are troubling you so that you can sort them out together as a family. Sagittarius children will have to look for other people to talk to this month since you are not willing to hear them out. Based on the February 2019 horoscope, disagreements will be the order of the day in your home hence it is up to you to restore peace and harmony in the home because you are the cause of all the above mentioned. The Sagittarius zodiac sign should change his or her attitude towards the people around him or her for better living. The 2019 monthly February horoscope foretells that Sagittarius health will be superb this month. Just a little bit of exercise and dieting will get you through the month safely. Sagittarius horoscope 2019 career is predicting that you will not focus much on career this month, but you will be ready to learn from others to expand your career development. Professionalism is important to you. Hence, you would not want to rush into any investments just because they have presented themselves. The Sagittarius personality has to exercise wisdom in making critical career decisions. As per the horoscope for Sagittarius 2019, financial prospects will be great for you this month since you will earn money with the help of the stars which are aligned to favor and bless you. You are also a wise spender hence issues of finances tend not to worry you. The 2019 astrology predictions reveal that education this month will bring you loads of benefits. You will do great and become the top student in your class which will, in turn, open the gates for scholarships to come your way. Such scholarships will enable you to widen your horizons for greater achievements. Sagittarius February 2019 horoscope predictions foretell that circumstances at the workplace will force you to travel even if you did not intend to. So brace yourself for business meetings and travels that will continue until the end of the month.